Think tanks have played a major role in providing the intellectual rational for privatisation around the world and in setting out the policy prescriptions for it. Using a range of free market economic theories, such as public choice theory, and dogmas, such as the market serves the public interest best and private companies are more efficient, they have argued that public services should be privatised, contracted out, and subject to commercial imperatives. In reality these measures were designed to provide expanding profit opportunities for private corporations. Reference: James Foreman-Peck, Public and Private Ownership of British Industry 1820-1990. Oxford: Clarendon Press, 1994, pp. 319-20; S. Thomas. ‘The Privatization of the Electricity Supply Industry’. In The British Electricity Experiment. ed John Surrey. London: Earthscan Publications. 1996, p. 40. “the fountainhead of industrial privatization showering the alleged benefits over the rest of the world.” On the basis of the free market economic arguments and theories provided by the think tanks, the Thatcher government sought to “move decision-making for the productive sector of the economy from public to private hands”. Reference: James Foreman-Peck, Public and Private Ownership of British Industry 1820-1990. Oxford: Clarendon Press, 1994, p. 333; M. G. Pollitt. ‘A Survey of Liberalisation of Public Enterprises in the UK since 1979.’ University of Cambridge. January 1999, p. 7. Privatisation was not something that the public demanded. When the Conservative Party came to power in the UK in 1979 it had made no mention of ‘privatisation’ being on its policy agenda. Surveys in the following years consistently showed that the majority of people opposed the privatisation of gas, telecommunications, electricity and water. Reference: ‘Mission Statement.’ Centre for Policy Studies. Accessed on 27 October 2002; Maurice Samuelson. ‘Proud to Be Harnessed to Defend the Future.’ Financial Times. 25 January, 1988, p. 15. The Centre for Policy Studies (CPS) claims “a large share of the credit for initiating policies such as privatisation…” The chair of its working group on electricity, Alex Henney, wrote a book, Privatize Power that was published by CPS in 1987. He accused the Central Electricity Generating Board (CEGB) of being inefficient inflexible and secretive. He recommended the separation of transmission to a separate company that would be mutually owned by the distribution companies. Reference: Nigel Ashford. ‘Politically Impossible? How Ideas Not Interests and Circumstances, Determine Public Policies.' Policy Autumn, 1997, p. 24. Another think tank that was considered to be a driving force behind privatisation was the Adam Smith Institute (ASI). It sought to make privatisation acceptable to the public by creating interests in favour of it through "encouraging management buy-outs, cheap or free shares to employees and widespread share ownership among the public". It distributed pro-privatisation literature to councillors, civil servants and the media. Reference: Charlie Higley, ‘Disastrous Deregulation.’ Public Citizen. December 2000, pp. 2-3. Think tanks ensured that by the mid-1990s there was a widely acceptable rationale for deregulation. “Calls by large industries for utility deregulation found a ready chorus in academics, analysts, and politicians who believed that competition would produce lower prices, better service, and more innovation than government regulation”. By the early 1990s “the tide of free-market hysteria reached a fever-pitch” and industry continued to lobby for deregulation. Past lessons about the failings of markets in delivering public goods were conveniently forgotten. The Australian state of Victoria is now the most privatised region in the world and much of the ground work for this was established by Project Victoria. Project Victoria was established to privatise public services and infrastructure. It originated from the work of a consortium of private firms, employer organisations and think-tanks in Victoria and is a prime illustration of the contribution to the privatisation drive made by the new breed of pro-market think tanks. At the behest of their sponsors, these think tanks have set the agenda, formed interlocking networks, and provided detailed advice on implementing privatisation. Reference: Michael G. Porter. ‘Government and State Enterprise in Victoria.’ H. R. Nicholls Society. Accessed on 20 July 2001. 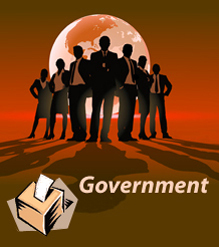 Privatisation in Victoria was presented as a way of reducing the government debt and therefore taxes and charges to business. It was also seen as way of allowing private firms “to get a piece of the action”. Reference: Des Moore and Michael Porter, eds. Victoria: An Agenda for Change. Melbourne: The Tasman Institute and the Institute of Public Affairs for Project Victoria. 1991, preface; Tasman Institute. ‘About Us/Projects.’ Tasman Institute. Accessed on 20 July 2001. Project Victoria was far reaching. It covered water, ports, electricity, public transport and workers compensation and the Kennett Government used this basis to extend variations of privatisation to roads, hospitals, prisons and schools. Tasman and IPA prepared a number of reports and strategies between 1991 and 1993. Reference: Alan Kohler. ‘The Radical Right Wing Speeds the Kennett Revolution.’ The Age. 14 February, 1997, p. 15. The Kennett Government implemented most of Project Victoria recommendations after it was elected and in some cases went further, slashing the public service workforce by more than three times the 1991 report recommendations. Reference: ‘Initiatives: Project Victoria.’ Tasman Economics. Accessed on 12 February 2001.